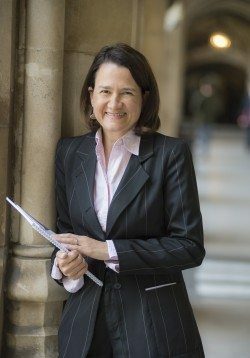 Woodbrooke Quaker Study Centre is pleased to confirm that the Swarthmore Lecture in 2017 will be given by Catherine West MP. The lecture will focus on addressing inequality, tackling poverty and promoting social justice. It will examine how we can effect change through politics – both participatory and representative – whilst living out our faith in the world. Catherine West became a Quaker in the 1990s and is a member of North West London Area Meeting. Catherine is currently Member of Parliament for Hornsey and Wood Green, having been elected to that role in May 2015. She was an elected member of Islington Council from 2002 to 2014 and Leader there from 2010 to 2013. While leader, she set up the country’s first Fairness Commission, chaired by Professor Richard Wilkinson, co-author of The Spirit Level, the bestselling book which argues that inequality is bad for everyone. The commission was a year-long listening exercise, held in one of Britain’s most unequal communities. After hearing testimony from hundreds of local residents, including from ‘hard to reach’ groups, the commission made 19 recommendations to make the borough a fairer place by tackling poverty and reducing inequality in the areas that matter most. These recommendations led to groundbreaking work, including the council becoming the first accredited Living Wage local authority for paying all of its staff and 98 per cent of its contractors a real Living Wage. In an area blighted by child poverty, the commission proposed universal free school meals for all primary school children, since partially adopted by government as national policy. Housing is also a major driver of inequality in Britain’s cities, and so the commission recommended increasing the provision of genuinely affordable homes. These recommendations were turned into detailed delivery plans which have since been implemented. The work done in Islington has led to over 20 similar initiatives in other areas around the UK. It shows that a local approach, informed by a commitment to equality, can benefit the whole community. Catherine’s lecture will resonate with the theme of Yearly Meeting Gathering, the annual decision-making meeting for Quakers in Britain, which will be looking at movement-building and how individuals can live out their faith in the world. Sandra Berry, Director of Woodbrooke, says, “Catherine’s name was chosen by the lecture committee after a careful process of discernment which began nearly two years ago. We wanted to offer a lecture from someone who would be able to share their personal experience of working on the inside of politics at various levels. We hope the lecture will help us explore how we as Quakers can be involved in the world of politics and how those who are involved can be supported. How can we overcome any sense of powerlessness and suspicion of those in power? How can we speak truth with love?”. The Swarthmore Lecture was first held in 1908 and there have been 109 lectures. The lecture has two purposes: firstly to interpret to Quakers their message and mission, and secondly to make the wider public aware of the spirit, the aims and fundamental principles of Quakers. The lecture is one of the associated events traditionally held around Britain Yearly Meeting, the annual decision-making meeting of Quakers in Britain. The 2017 lecture will take place as part of Yearly Meeting Gathering, to be held at the University of Warwick.